This is a new poster for Mom and Dad. 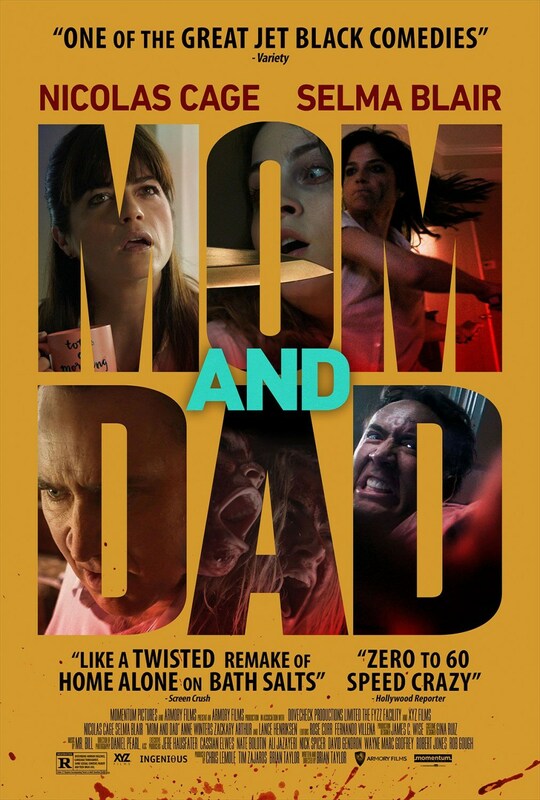 The new poster shows Nicolas Cage in full "Rage Cage" mode, as him and Selma Blair are parents with violent intent. It was written and directed by Bryan Taylor (Crank, Crank: High Voltage), and stars Nicolas Cage (Season of the Witch, Wicker Man, Ghost Rider) and Selma Blair (Hellboy, The Fog). It is scheduled to be released in select theaters and VOD on January 19, 2018. Check out the synopsis and the previously released trailer below.